When in Rome, you’d prefer to do as the Romans do, and have a nice villa with extra bedrooms on call for your family visit. But Italy’s capital can seem unwelcoming if you’re trying to find a family-friendly hotel room large enough to lay several sleepy heads. It is expensive and challenging to find one that sleeps more than two people; connecting rooms are few and far between as well. So, here are our picks of those places, most convenient and good value, where families of three or more are truly welcomed. Tip: November to March is considered the low season; note that most suggested hotels provide a discount for multi-night stays, so be prepared to settle in. This welcoming, seven-room guesthouse is on a quiet cobblestone street just off the Tiber, near to Campo di Fiori, in a posh diplomatic neighborhood. Decor is eclectic and artsy but it’s charming, and you’ll feel totally safe letting the kids wander around on their own. The gracious staff are happy to recommend restaurants and attractions, and WiFi and breakfast are included. Unusual in such a small place are the three- and four-bedded guest rooms; there are also 2BR and 3BR furnished apartments nearby with a required minimum three-night stay. The three-star Grifo is in the Monti District. It’s on a quiet sidestreet near to the Coliseum, off the via Nazionale, closer to the Piazza Venezia and the Ministero dell’Interno. Furnishings are more eclectic than designed, with some dark wood pieces, some linoleum and some crusty leather chairs to remind you of the many budget, family-run hostelries you may have once enjoyed. It does, however, offer charming neighborhood views from a simple roof garden where drinks and a complimentary breakfast are served. They have some family triples and quadruple rooms, and all the amenities you’ll need are in the room. This three-star hotel dating from the 1930s was totally renovated as part of the Bettoja Hotel group, and now features bright, pretty rooms with A/C and minibar, oriental rugs, floral prints and curtains; a gym, rooftop bar, WiFi access and other amenities. Though the largest of the 157 rooms only sleep 3 (they’ll put in a rollaway), it’s well priced and serves a tasty buffet breakfast (included in rates). 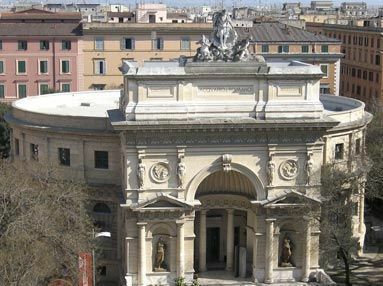 Near the Termini railway station, it’s another convenient choice near the Trevi Fountain, Opera and new National Museum of Rome. The Nord is cheapest of the family-owned Bettoja Hotels chain, which includes Rome’s four-star Atlantico Hotel, Massimo D’Azeglio Hotel and Mediterraneo, as well as the Relais Certosa in Florence. The four Rome Bettoja hotels also support the arts year round with a special Art & Culture package including breakfast, WiFi, an official walking guidebook, as well as one free priority entry ticket — subject to availability — to exhibitions at the Palazzo delle Esposizioni or the Scuderie del Quirinale. On a small side street between Rome’s Parlamento and Piazza S. Sebastiano, this 2-star place has 23 rooms on the fourth and fifth floors of a 16th-century Palace that is now a larger apartment building. Rooms – some triples and quads – are simple but clean, and rates include private bathroom, continental breakfast, TV, WiFi and A/C (for an extra fee) and a safe for valuables. With several quad rooms, it came recommended to us by Clare Jordan, then seconded by another FTF traveler, all of whom enjoyed their stay. Great rates include breakfast, and it’s family-owned and tended, so very nice atmosphere. A short walk from St. Peter’s Square, Starhotel Michaelangelo — part of an Italian 22-boutique hotel chain — features 179 high-style rooms with minibar and television. A maximum of three people may stay in each room; an extra bed added for a child under 16-years incurs no additional charge — a bargain in Rome. This hotel’s restaurant, “The Dome,” serves international cuisine. There is also room service, concierge, and laundry service. Rates: $-$$ for special weekend rates; family plan includes 50% discount on second room occupied by children up to 16; many online specials. Rome’s most fabulous deluxe hotel is the venerable Hassler Villa Medici, which has presided over the Spanish Steps in gilt and marble splendor for over a century. As with many of Europe’s great hotels, infants will be pampered and older children condoned (even enjoyed), as long as they’re well behaved. (Dressed adorably helps too!) We can’t say enough about the service and the rooms, but it’s on Conde Nast Traveler‘s Gold List every year, with good reason. This is ultra splurge, the type of place where double rooms are large enough to accommodate an extra bed, but you’ll pay €100 and up for that privilege. Babysitting available upon request. This restored small hotel is typical of Italy’s squished-into-a-room tiny family accommodations. It is distinguished, however, by really First Class design, with a marble lobby, comfortable and elegant breakfast room (a substantial cold buffet is included in rates), ornate marble sinks in tiny bathrooms, phone, free WiFi, minibar, TV & A/C, and pretty, if compact, furnishings. With a very convenient location just minutes from the Via Cavour metro stop and about a 10 minute’s walk from the Colisseum, its reasonable rates convinced us that being so close in our room — one of 27 available — could be considered a positive bonding experience. Definitely the most luxe place in Rome’s historic quarter surrounding the Roman Forum, this 4-star hotel’s lovely roof garden restaurant has thrilled travelers for generations. Though not the fanciest, it is cozy, comfortable and immaculately maintained, with spacious rooms (including a few family rooms) and all the amenities you could want, excellent service, a popular American bar and private parking. We love the location on Via dei Fori Imperiali, the original route for parades from the Colosseum to Piazza Venezia. Babysitting available upon request. Early booking discounts apply through the website. Located between Termini Station and the Basilica of S. Maria Maggiore, this hotel was founded in 1963 to honor John F. Kennedy’s memory. They have a private bathroom and satellite television and bedding options include single, double, twin, triple, and junior suite (two bedrooms connected and sharing a bathroom). Children are welcome and roll-aways are available. Rates include breakfast — a morning “all you can eat buffet” set to opera music. 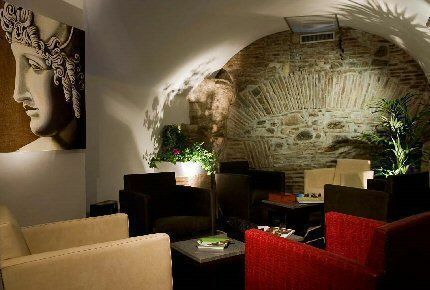 Hotel Abruzzi(39/ 06/97841351) – 25 rooms in a 3-star place near the Pantheon. 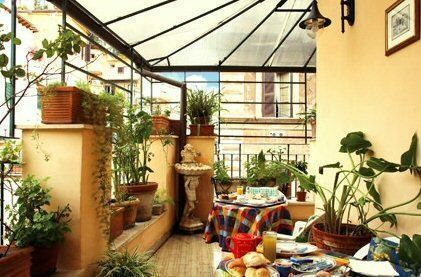 Campo de’ Fiori ( 39/06/68806865) – Baroque style place on Rome’s historic Market Square; has furnished apartments as well as rooms. 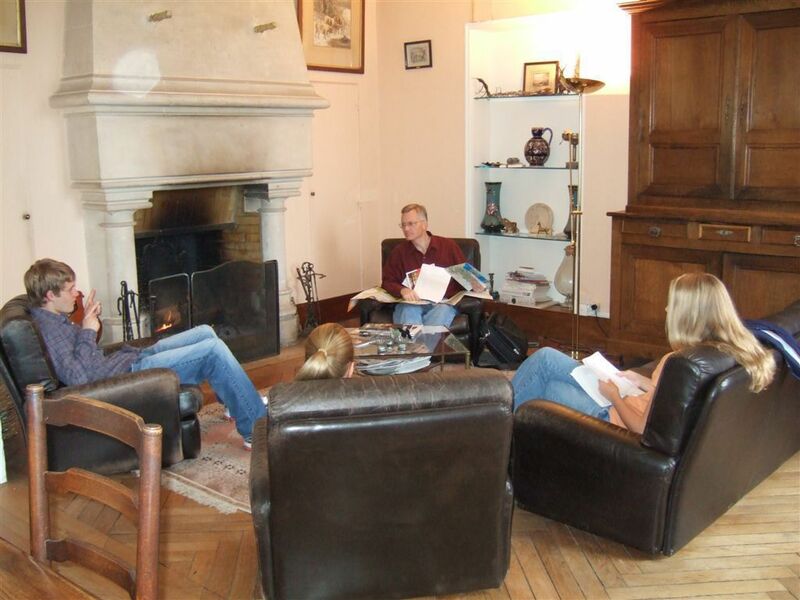 Families with more subdued children may be interested in the experience of staying in an Italian monastery, an affordable lodging option favored by many Italian travelers. by Eileen Barish ($18) suggests more than 400 monasteries around the country that welcome visitors, though Ms. Barish cautions that their austerity of decor (though many display great Renaissance art), curfews, simple but hearty meals, and “quiet and contemplative” atmosphere are very different than what many travelers are used to. ($15) with detailed listings of 130 convents and monasteries from $30/bed per night, which welcome travelers regardless of religious affiliation. 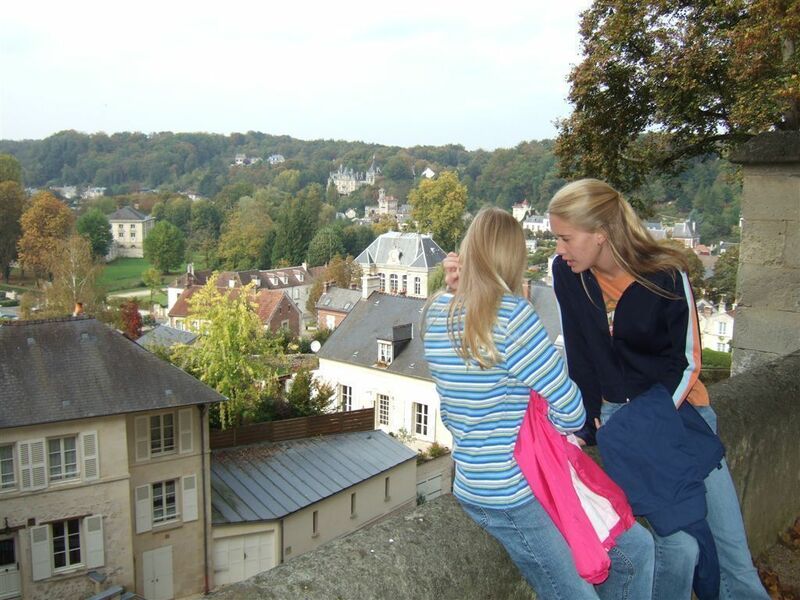 You’ll learn the curfew hours, meal options, languages spoken, and even which ones accept credit cards. 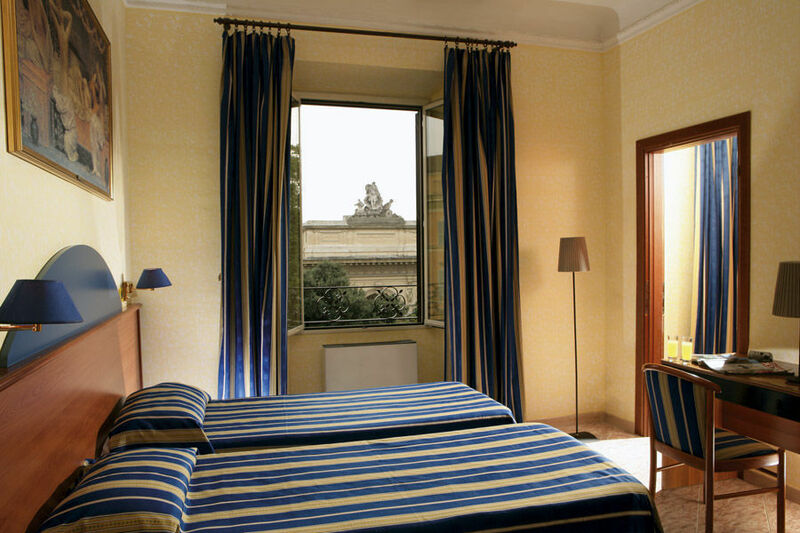 The hotel in the centre of Rome,near station Central Termini.Room with pc and internet free in all rooms. Apart from the big hotels "Hotel Rome" is included in the three star hotel, that provides you the great part of meals with leaving in best part of the hotel also you will find best facilities everytime when you require or not.